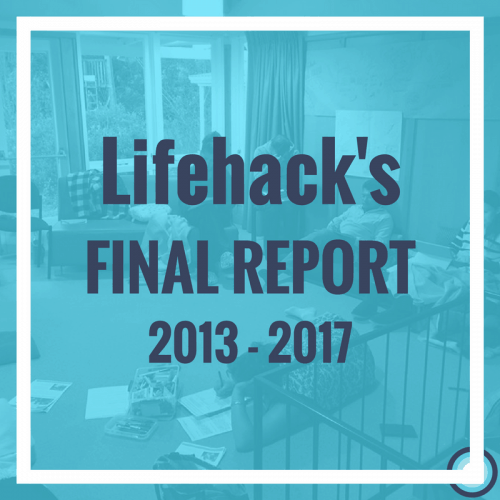 A summative assessment of the impact and learnings of Lifehack: a four year project funded by the New Zealand Government as part of the Prime Minister’s Youth Mental Health Project (YMHP) with the aim of reducing mild to moderate mental health issues in young people aged 12 to 19, and ultimately to reduce youth suicide. The outcomes and lessons described in this report were made possible thanks to public funding, and the passion, commitment, bravery and shared knowledge of both adults and young people people committed to working together differently to create and enable the conditions for youth wellbeing: an Aotearoa where all young people flourish. Click the link below to download this report.